Barca announced record revenues of 914 million euros for last season, with a net profit of 13 million euros after tax. They are predicting another revenue jump to 960 million euros for 2018-19. 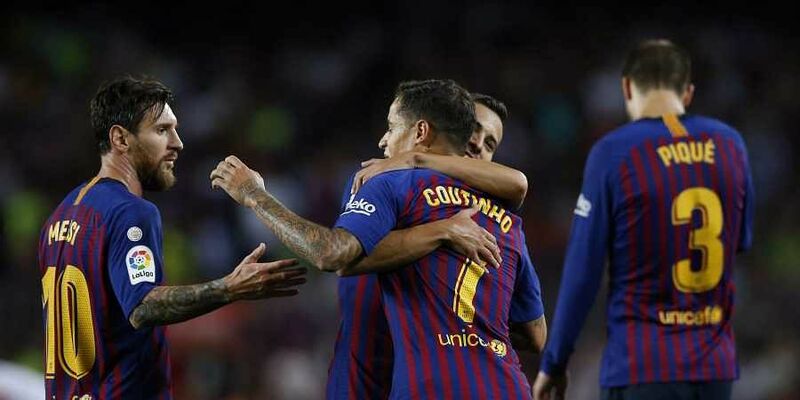 BARCELONA: Barcelona have left the door open to buying a player in January despite not including mid-season signings in the club's budget announced on Tuesday. The budget does not anticipate players joining in January but club chief executive Oscar Grau insisted there is still a chance of new arrivals. Barcelona have been heavily linked with a move for Paul Pogba, whose future is uncertain at Manchester United. "This budget does not provide for any signings in January but as I always say, a budget is a statement of intent," Grau said during the presentation of the club's economic report. "If there is a demand, we will study it carefully. The budget does not provide for it but we can find ways to adapt. The message is that it is not in our plans but if it is financially viable, we do not close the door." President Josep Maria Bartomeu wants Barcelona to record revenues of 1 billion euros by 2021, an ambition that is shared by Real Madrid chief Florentino Perez. Pogba cost Manchester United 105 million euros in 2016 but, it is thought, the World Cup winning midfielder would bring significant revenue benefits. Barca's latest revenue rise for 2017-18 was pushed by a boost of 155 million euros in transfer income. The club sold Neymar to Paris Saint-Germain for 222 million euros in August 2017. The wage bill for sport, which had risen from 365 million euros to 520 million euros last season, is expected to drop to 492 million euros for 2018-19. This follows a number of player departures in the summer, including Andres Iniesta and Paulinho. Barcelona also confirmed on Tuesday that work on the Camp Nou is expected to begin at the end of the season. Upgrades are due to include a roof and increase capacity from around 99,000 to 105,000, at a cost of 400 million euros.